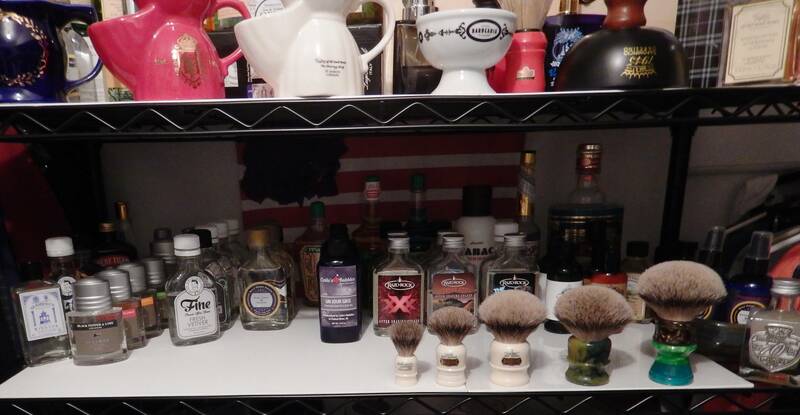 Just wanted to show what I have in my Shave Den. If I could be just half as well organized as you I'd be thrilled Mike. What is the size of the knot in that brush on the far right? It looks gigantic with that Wee Scot in the frame. Just kidding, when I saw the first photo I thought that, but the next couple of photos show, that you are deep into this hobby. 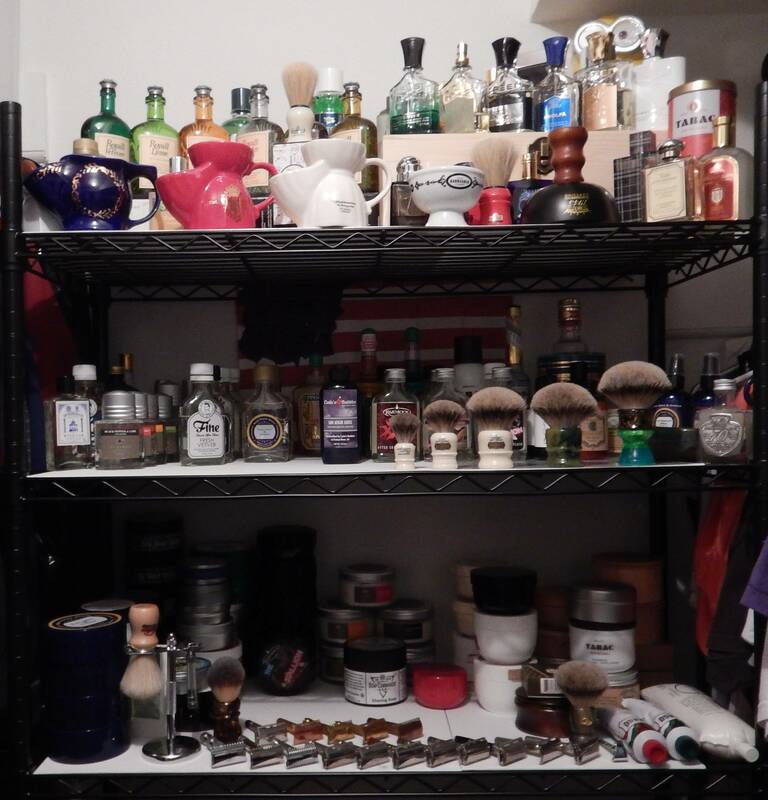 Do you have other fragrances, besides the Creeds ? I see a Prada Infusion D'Homme, Acqua di Gio, Polo Red, A Burberry Brit and a Gucci Pour Homme - is that Penhaligon Opus 1870 an Eau de Toilette or an AS ? Beautifully jaw dropping and I agree, your organizational skills are fantastic. 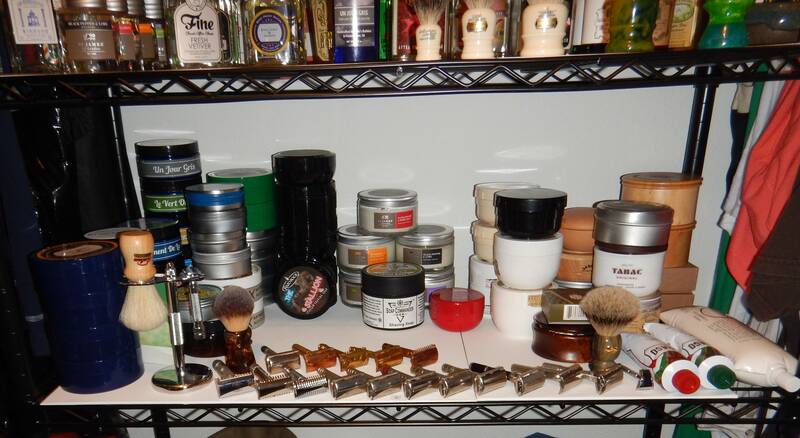 Hello all, thanks for the complements, the brush to the far right is a Nathan Clark custom, its a 30mm knot. the other green one is a 28mm. Outside of what you see in my cologne collection I own the Aqua Di Parma Collezione Barbiere After Shave and shave cream, 'Colonia Essenza' Eau de Cologne and the Colonia oud. I would buy more but I would be thrown out of the house. i would love to have all of the Creed cologne but i want to explore other fragrances. Yes, very well organized. Very impressed. Lots of great stuff in there. Thanks everyone, I enjoy shaving and meeting folks with the same interest. 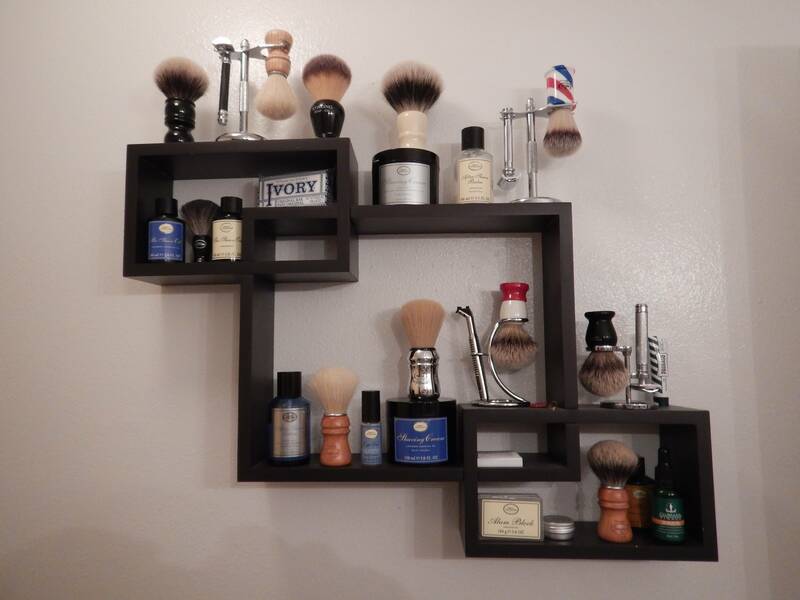 What a fantastic shave den! The line of Creed fragrances is an especially nice touch . 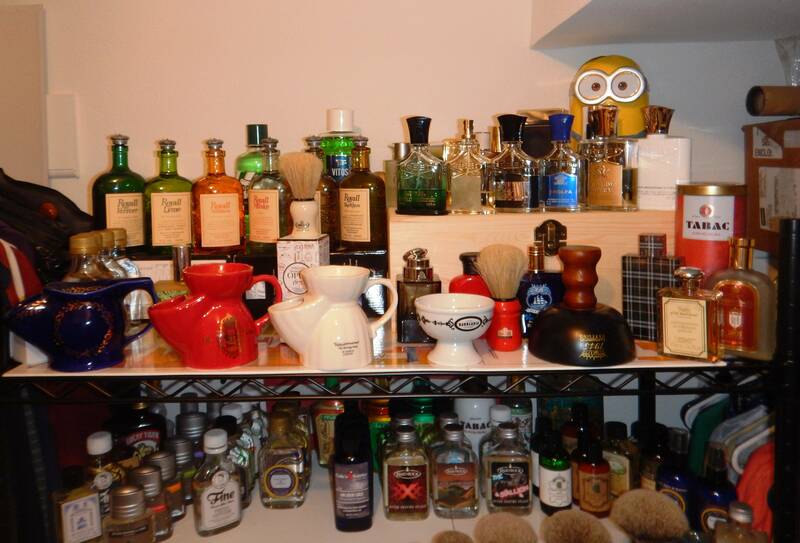 By the way, how is the Saponificio Varesino wood shave bowl + handle that you have on your shelf?